Description: Brighouse, West Yorkshire, League Publications Ltd. 2006. (ISBN: 1901347168) Soft Cover, 9.5 x 6.75 inches. Book in unread 'as new' condition. 319pp. 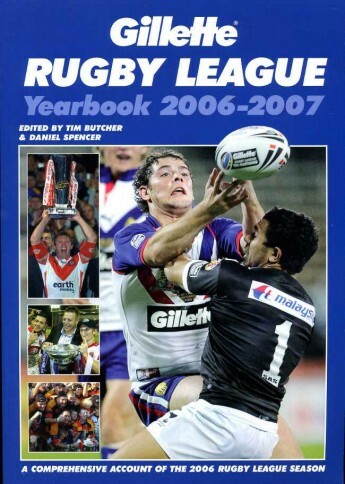 Well illustrated book with an in-depth statistical section, chapters on every major competition and a record of every game in Super League, the Challenge Cup and the National League. Fine.